Stepan Partamian’s “Yes We Have” is not a single story but a compilation of various stories about the incredible Armenians who changed American history through their inventions, discoveries and talents. Partamian compiled over one hundred stories of influential Armenian-Americans starting from the first Armenian colonists who settled in Jamestown. The multi-faceted Partamian is also the founder of the Armenian Arts Fund, which encourages people to enhance their artistic ability in various ways. He is perhaps best known as a flamboyant and controversial daytime talk show host. When opening to the first page of the book I was stunned to see a picture of President Obama instead of a picture of the author or a famous Armenian. Under the picture of 44th President of the United States, Barrack Obama, was a section of his April 24th Armenian Genocide commemoration speech. In his speech he states, “The United States of America is a far richer country because of the many Americans of Armenian descent who have contributed to our society…” This first page set a very nationalistic and enthusiastic tone to the rest of the book. 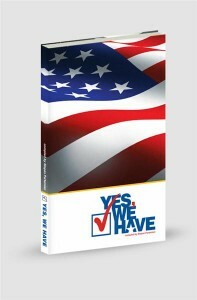 “Yes We Have” includes stories of inventors, musicians, actors and actresses, businessmen and women, war heroes, politicians, scientists, and authors. I found myself learning about countless amazing contributions to American society made by Armenian-Americans. This is an attention grabbing, page-turner that is very successful in keeping the reader’s attention because it not only includes well known Armenian-Americans’ stories, but also the lesser-known influential Armenians such as Luther G. Simjian who invented the ATM machine. I would have to say this book was a complete joy to read and I guarantee everyone and anyone who reads it will be surprised and gratified by the incredible things Armenians have contributed to America, I know I was.